This book tells the story of humankind as producers and reproducers from the Paleolithic to the present. 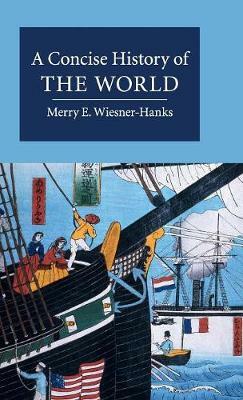 Renowned social and cultural historian Merry Wiesner-Hanks brings a new perspective to world history by examining social and cultural developments across the globe, including families and kin groups, social and gender hierarchies, sexuality, race and ethnicity, labor, religion, consumption, and material culture. She examines how these structures and activities changed over time through local processes and interactions with other cultures, highlighting key developments that defined particular eras such as the growth of cities or the creation of a global trading network. Incorporating foragers, farmers and factory workers along with shamans, scribes and secretaries, the book widens and lengthens human history. It makes comparisons and generalizations, but also notes diversities and particularities, as it examines the social and cultural matters that are at the heart of big questions in world history today.